After purchasing this product, you will be sent a unique Kogan Mobile voucher by email within 24 hours and a Kogan Mobile SIM Starter Pack by post. Once you have a Kogan Mobile SIM Card, simply visit the Kogan Mobile activation centre to redeem your unique voucher. You will be able to activate and start using your SMALL 30 Day plan without any additional charge. 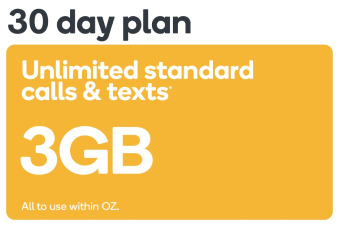 Small by name but big on inclusions, the 30 Day SMALL Plan represents unbelievable value for heavy talk and texters. Browse, socialise and stream with complete freedom thanks to 3GB of data. 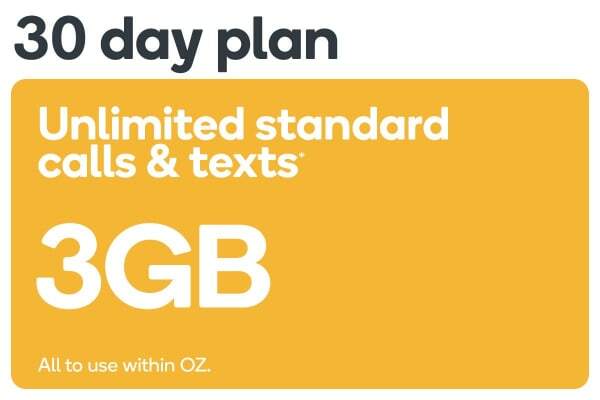 This is a good chance for clients to make choice for mobile plan and your SIM card dispatched was promptly. The only problem is activation. Saying it is easy in fact it’s not, phone call help is useless.